Here at Kitesurf Nam we've been living the dream in Mui Ne, Vietnam for ten years, and we can help you get the most out of your kitesurfing holiday. 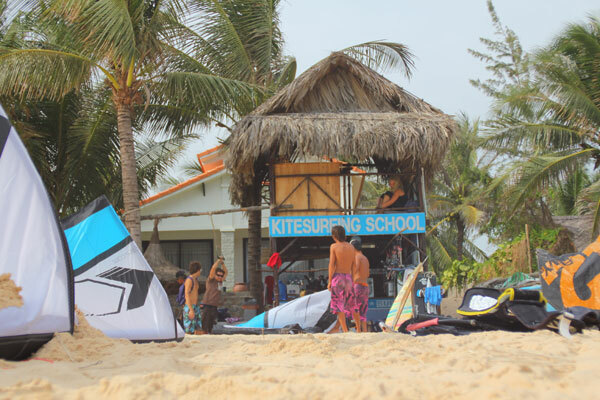 Our partner school Surfpoint Vietnam is staffed by very experienced, qualified IKO instructors who speak English & German. We've got courses available suited to you, whether you're a complete novice and eager to try kitesurfing for the first time, or an experienced rider looking to move your skills to an advanced level. Check out the courses available in the panel opposite, all details are listed below. Beginners beware - this sport is addictive, and will change your life! This is the most popular course for our customers, the one that takes you from standing on the beach going "ooh" and "aaah" watching other riders, to the point where you're up riding on the board and screaming "yeeehaaa" to yourself! 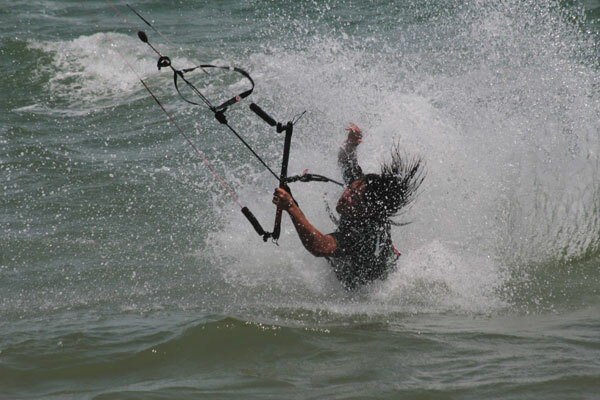 The course will set you back $250USD - considering that's five hours of intensive instruction, one to one with a qualified instructor and all the gear provided, we think that's a bargain - Vietnam is one of the cheapest places in the world to learn kitesurfing! You'll start the course with some free time on a small trainer kite, to get the hang of controlling a kite in the air. You'll then have around an hour on the beach to introduce you to the gear, cover the safety aspects, wind theory and self rescue, and then getting the hang of rudimentary kite control with a full-sized kite. After that the fun really starts - into the water for body dragging with the kite, at first with an instructor, and then on your own - although an instructor will be with you on the beach, watching your every move. 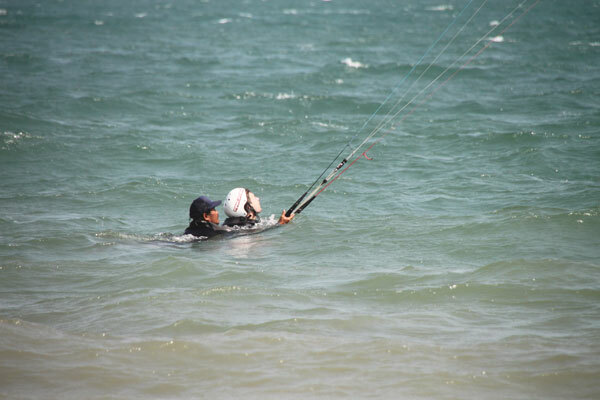 You'll learn kite control, body dragging upwind, body dragging with the board, board recovery and kite relaunch. When your instructor thinks you're ready for it, the next step is the water start, and actually riding the board. Then its practice practice practice until that yeeehaaa moment! The board rider course takes you from the end of your first five hour course, where hopefully you'll be water starting and riding downwind, to riding upwind safely and efficiently. The course is four hours in terms of time on the water, usually over two days, and costs $200USD - All the gear is included. This course is designed to take you from zero skills/experience to the point where you're riding upwind and ready to try your first jumps - a moment no kitesurfer ever forgets! The course incorporates the curriculum from the six hour introductory and four hour board rider courses, plus seven days unlimited board and kite hire, for an unbeatable $855 USD. Once you've completed your ten hours intensive instruction, our instructors will give you help advice and guidance throughout your seven day hire period, and one of our beachboys will always be tracking your progress down the beach and making sure he's there when you're ready to land your kite. 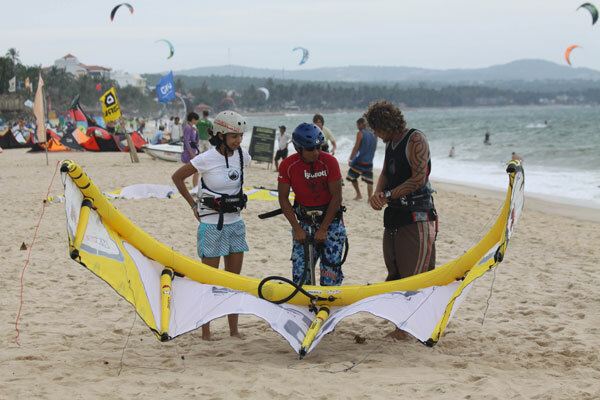 If you're in Mui Ne for around two weeks, this is the course to turn you into a truly independent kiter, ready to continue the sport when you return home. If you're already a competent rider, and looking to improve, we have the instructors and courses to raise your game. You can set your own agenda, whether its honing your freestyle skills on a twin-tip, or learning how to ride a directional board on the waves, we have the instructors who can help you reach your goals! These lessons are done on an hourly basis, at $50 per hour.